The MobileSmith family is rejoicing once again at the success of their customers’ apps. 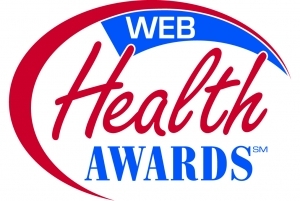 UCLA Health App, created and published by the elite UCLA Health system using the MobileSmith mobile app development platform, was the distinguished winner this time, earning a Bronze Web Health Award. Find a UCLA Doctor – Save to your contacts or “share” with friends. Addresses and directions to UCLA hospitals, urgent care, and UCLA community offices. 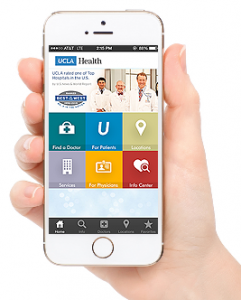 myUCLAhealth – UCLA patients can access their health information. Health Library – Search conditions & treatments. News, Virtual Tours, Admissions Guides, Services, Insurance & Billing. A comprehensive mobile resource for the UCLA patient and physician community, this remarkable app is available for any iOS and Android smartphone user. The MobileSmith Platform, used to develop, launch, and manage this app, empowers non-programmers at hospitals across the country to take control over their mobile strategy. MobileSmith offers quick, code-free native app prototyping, over-the-air testing and delivery, dedicated CMS access for easy app management, and a number of cutting-edge native app blocks to power any custom-designed apps.